ST. PETERSBURG – The accusations of false advertising that have been levelled against the owners of a US nuclear power plant are extremely instructive for Russia, where several regional governors are becoming particularly zealous nuclear lobbyists. A consumer-rights group has accused the owners of the Vermont Yankee NPP of misleading advertising. The NPP has been advertised as “safe, clean, reliable”, which isn’t actually the case, according to the Vermont Public Interest Research Group (VPIRG). “The plant hasn’t proved itself reliable. Over the past few years there have been several breaches while in operation,” research group members say. Assertions that the NPP doesn’t discharge the carbon-dioxide gas responsible for climate change are also not accurate, and actually mislead consumers. Carbon emissions occur both during the production of nuclear fuel and during transportation of nuclear materials and nuclear waste, as well as when nuclear waste is processed. Without this, not one NPP would be able to function, and therefore NPPs are directly responsible for CO2 emissions, and assertions otherwise are suggestive of straightforward deception. The owners of the NPP are trying to present the old plant, which entered service in 1972, as “safe, clean, reliable,” as they hope to obtain a licence to prolong its engineered life-span. Full-page advertisements for the NPP have been taken out in local newspapers, and advertising segments placed on radio and television. A special website celebrating the safe, clean, reliable NPP has been created as well:www.safecleanreliable.com. Consumer-rights activists have analysed the NPP advertising campaign, and at the beginning of September sent a six-page letter to state Attorney General William Sorrell based on their findings, demanding that he launch an investigating and alleging that paid-for advertisements for the NPP in a number of media outlets are in breach of the state’s law protecting consumers from misleading and dishonest advertising. Let’s return to the Vermont Yankee NPP, were a serious accidence happened on August 22nd, 2007. The western cooling tower collapsed, and a huge volume of water leaked out of the NPP’s cooling system. Fortunately, the water wasn’t radioactive. But the accident could easily have had serious consequences, since a nuclear reactor without a working heat-extraction system can be damaged, the core could undergo partial meltdown and radiation could escape into the environment. It was a leak of coolant that caused the largest accident at a U.S. NPP, at Three Mile Island in 1979. But a catastrophe was averted on August 22nd, 2007, at Vermont Yankee, as other cooling towers were activated and the plant’s output was reduced by 70 percent, but the plant continued to operate. The reason for the accident was decay in the wooden framework of the cooling tower. In other words, the company operating the NPP wasn’t in a position to identify and replace rotten wooden beams, while at the same time spending vast amounts of money on advertising the “safety and reliability” of its NPP, which was literally falling to pieces. It’s understandable why people in Vermont don’t believe the irresponsible advertising and are asking the attorney general to punish those responsible for it. In total, Vermont Yankee has suffered 76 breakdowns of the cooling system and three fires in the transformers. In fact, something similar is happening at NPPs in Russia as well. There haven’t been any accidents caused by rotten wooden beams yet, but deficiencies in reactors’ cooling systems and fires in generators and transformers occur frequently. For example, in July 2008 Rostekhnadzor reported the following incidents: July 1st, Kola NPP; July 4th and 12, Bilibino NPP (“defects in welded joints” of the main pipes were discovered, and the plant had to carry out an emergency shut down of reactor no. 2); July 17th, shut down of reactor no. 3 at the Balakovo NPP due to “steam formation in the area of the steam generator.” In June 2008 there were two operating infringements, two in May and five in April. On average, one “incident” is recorded at each reactor of Russia’s NPPs every year. But whereas such minor accidents don’t attract much attention in Russia, in the US lessons are learned and they try not to allow old NPPs to be advertised as being reliable. 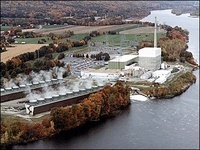 Vermont Governor Jim Douglas was forced to admit that accidents cast doubt on the nuclear sector’s assurances about the reliability and safety of NPPs. But what definitely isn’t happening in Russia is a discussion of the problems of nuclear energy by politicians. It’s impossible to take seriously declarations made by governors either under direct pressure from Rosatom or under the influence of dishonest advertising by the nuclear sector. Yet, for example, David Deen, Michael Mrowicki, Steve Darrow, the three Democratic candidates for the Vermont House of Representatives from the towns of Putney, Westminster, and Dummerston, which are the nearest towns to the NPP, all hold the same position and do not support the nuclear sector. All of them say that the NPP should be shut down before its licence expires in 2012. All of them have promised not to vote in favour of extending the NPP’s working life. And all of them agree that the state government ought to finance efforts to improve energy efficiency and to promote the use of alternative sources of energy. This position is widely discussed and will most likely gain the support of voters. Unfortunately, there are no politicians at the regional level in Russia who talk honestly about the problems of ageing NPPs. No lawmaker in Murmansk Oblast has said publicly that they support the demands of local organization Nature and Youth for the Kola NPP to be readied for shutting down. There are no such local politicians either in the Voronezh or Leningrad oblasts, where NPP reactors are also operating beyond the end of their planned working lives. Moreover, Russia’s environmentalists don’t have the opportunity to be heard and understood by the prosecutor’s office if they try, following the example of their American counterparts, to catch the nuclear lobbyists in outright deception and misleading advertising. So Vermont Yankee will most likely be shut down in 2012; there is no such certainty regarding the Kola, Leningrad and Novovoronezh NPPs. 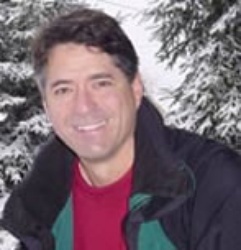 Andrei Ozharovsky, a physicist with Ecodefence, is a frequent contributor to Bellona Web.